Arthur Boyd was a painter, potter and printmaker from a family of artists. 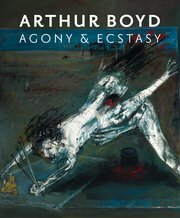 Boyd aimed to convey an inner emotional vision through his work, rather than describing the external world. 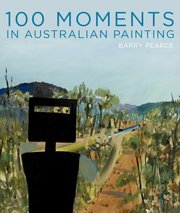 He painted lyrical and emotive allegories on universal themes of love, loss and shame, often located in the Australian bush. These artworks draw on a wealth of literary and mythological sources as well as intensely personal and often ambiguous symbolism. 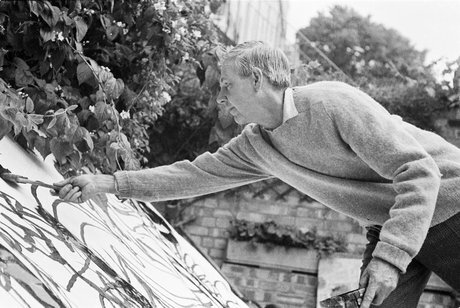 Boyd had a strong social conscience and his paintings engage deeply with humanitarian issues. 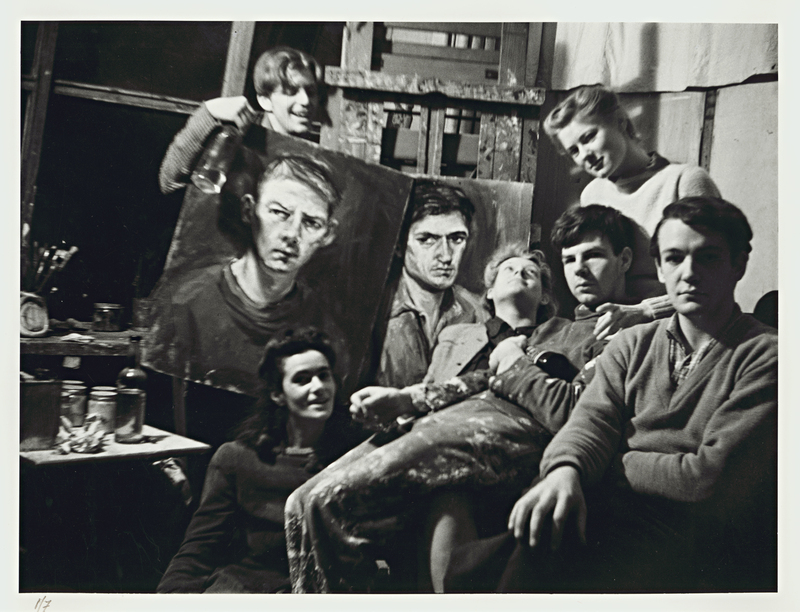 Boyd attended night classes at the National Gallery School in Melbourne in 1935 and was taught by his parents, Merric and Doris Boyd at their home in Murrumbeena, Victoria. 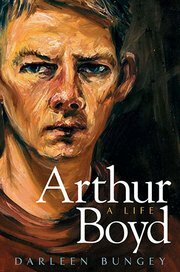 At age 14 he went to live with and learn from his grandfather, Arthur Merric Boyd, on the Mornington Peninsula. He was influenced by his contact with the Jewish immigrant artist Yosl Bergner, who introduced Boyd to such writers as Dostoyevsky and Kafka. Conscripted into the Cartographic Unit of the army in 1942 during the Second World War, Boyd did not see active service, but the war supplied the subject matter for his paintings of the 1940s, which featured the crippled and wounded in turbulent settings. After the war he established the Arthur Merric Boyd Pottery Workshop at Murrumbeena, with John Perceval and Peter Herbst. In the late 1940s Boyd turned to the Bible as a way of expressing the horror and suffering of war. Paintings such as The expulsion , 1947-48 draw on biblical narratives of punishment and depict nature as an overwhelming force controlling the individual. Travelling around central Australia in the 1950s he was shocked by the conditions in which Aboriginal people were living in Alice Springs. This experience initiated the Love, marriage and death of a half-caste series of 31 paintings, also known as The bride , which imagined the figure of an Aboriginal person of mixed descent as a neglected outsider. The series was exhibited in Melbourne in 1958 where it raised contentious issues about the ongoing marginalisation of Aboriginal people. Boyd was associated with the Antipodeans, a group of painters founded in 1959 and championed by art historian Bernard Smith, who attempted to promote figurative art at a time when abstract painting and sculpture was in the ascendancy. 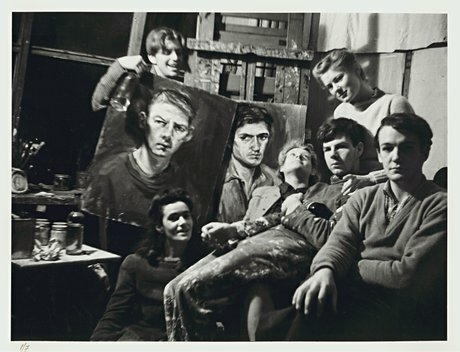 The group had an exhibition at the Whitechapel Gallery in London, and in 1959 Boyd relocated to London with his family, where he remained until 1971. Despite his English location, Boyd continued to depict Australian subjects, locating his allegorical and mythical scenes in Australian bush settings ( Nebuchadnezzar on fire falling over a waterfall , 1966-68). 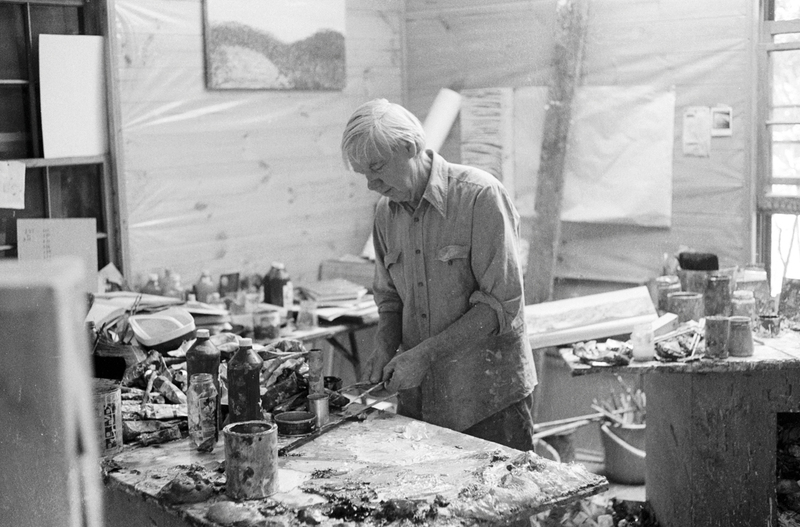 In 1971 he returned to Australia, eventually settling at Bundanon on the Shoalhaven River in New South Wales where he continued to paint landscapes. His Australian scapegoat paintings of the 1980s explored constructions of Australian identity in the lead up to the bicentenary of the arrival of the First Fleet in 1988. With their violent imagery and aggressive colouring they draw on archetypes of Australian military history to suggest the futility of war. 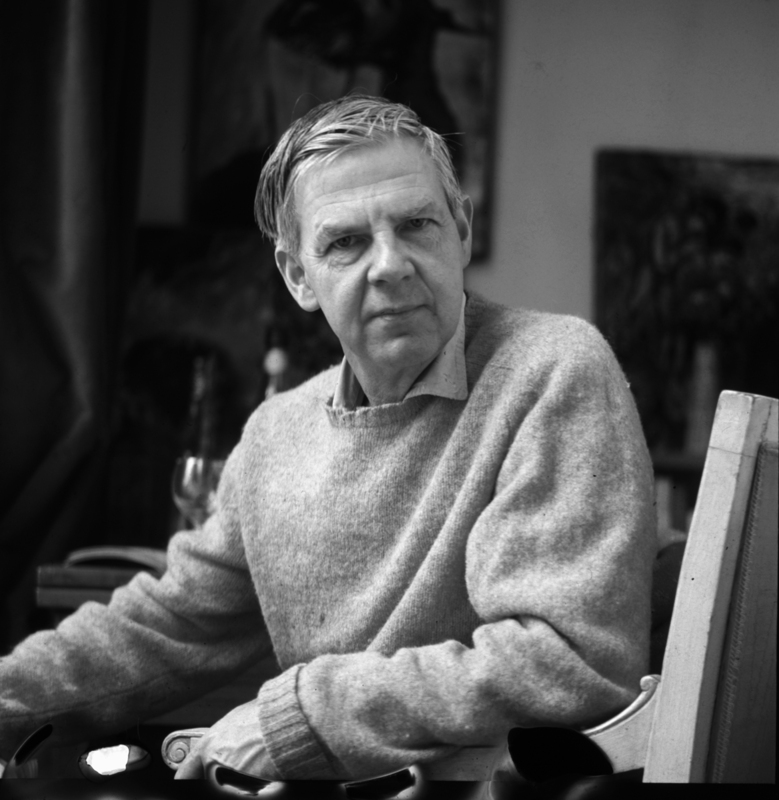 In addition to painting, Boyd worked prolifically in ceramics, designed sets for the theatre, and provided illustrations for the poems of Australian poet Peter Porter. In 1993 a major retrospective of Boyd’s work was held at the Art Gallery of New South Wales. In the same year, Arthur and his wife Yvonne gifted their property Bundanon, comprising of 1,100 hectares, to the Australian people.